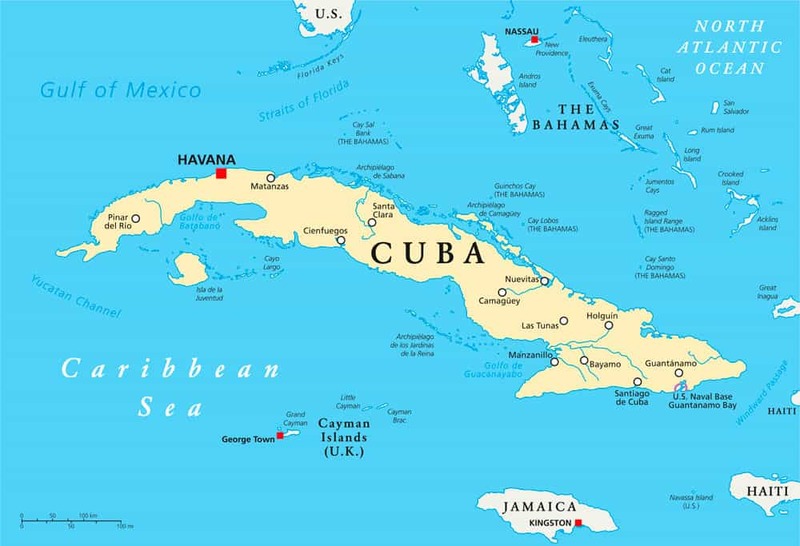 Cuba is becoming so much more popular now, so get there soon if you can, before tourism becomes too mainstream. A unique and wonderful combination of some characterful cities and towns, great beaches and lovely sea, colonial architecture, beautiful landscapes in the south around the Sierra Maestra, and fascinating history with the likes of Fidel Castro, Che Guevara and legendary names like Hemingway, not to mention the rum, cigars and the wonderful salsa and rhumba music. Any Cuban journey starts in Havana. Her faded beauty is legendary, and the Hemingway stories only add to the story. Havana is hands down the most appealing city in the Caribbean, and one of the top five scrumptious Latin American destinations too. It’s beginning to rise up from its ruins with a chunk of the tourist money being channelled into sprucing up Habana Vieja, the old colonial centre. Once fortified against the threat of pirates and colonial rivals, the seductive city has risen from the ashes through the painstaking restoration work of city architect Eusebio Leal, who had to bring some restoration artisans out of retirement to realise his dream and pass their wisdom on to the next generation. Cobbled streets lead to recently polished Baroque churches, castles and palaces. Plazas have been returned to their former glory, their fountains flowing once more, and their facades re-rendered attentively. Along the seafront of Havana, the malecón, the strains of salsa waft from the rebooted sound systems of vintage Cadillacs and Buicks, and the facades of grandiose seafront buildings are being slowly renovated. Trinidad is far and away the most handsome town in Cuba, with multi-coloured pastel hued terraces and rust-red roofs. This fertile land of mountain and sea has always brought wealth to lucky locals. In the colonial area, especially between 1750 and 1850, sugarcane was big industry, and fabulously rich Spanish families built gorgeous mansions around Trinidad’s main square off the back of their sugar mills in the valley. Now their descendants rent rooms out to visiting foreigners. Mountain and sea collide around the Topes de Collantes, producing rich soil for crops. Other cities worth a visit are Camaguey, for its colonial architecture, Bayamo and Santiago de Cuba. With its strong Spanish influence and unique city layout, Camaguey has an intriguing architectural history. It was founded in the early 1500s in its current location. The town developed its layout of large and small squares, winding streets, narrow alleys and irregular urban blocks, probably as a result of the Spanish colonisers who brought their medieval influences with them. The buildings and unusual layout have led to Camaguey also being gazetted a UNESCO world heritage site. Situated at the foot of the Sierra Maestra, unspoiled Bayamo is the ‘capital’ city of Granma Province. It is an intriguing, rather romantic town, one of those places where you can truly imbibe the ‘yesteryear’ quality of Cuba’s provincial lifestyle, particularly in the cut-off East. Most people get around by horse ‘bus’ – communal taxis following designated routes, with the rest on bike or foot, and only a lucky smattering have a car. The charming city of Santiago de Cuba is physically closer to Kingston, Jamaica than to Havana. It is the stronghold of Afro-Cuban culture in Cuba and has a fearsome musical, cultural and political heritage. Santiago swings to its own laid-back vibe. Though it’s Cuba’s second city, it feels compact, with a handful of key monuments and nightspots. Don’t miss the Casa de la Trova, where the city’s legendary rumba can be heard. Socialist to the core, Santiago was a key stronghold during the nascent stages of the Revolution. The Moncada Barracks, where Fidel led a failed coup in 1953, are worth a visit, as is the Castillo del Morro, the old fortress, a romantic place to watch the sunset with panoramic views.